The Energy Charter Secretariat (ECS) mission to Belarus took place from 29 May to 2 June. The main aim of the mission was to assess the investment climate in the country’s energy sector and to support the country in developing its energy efficiency policy. In addition, the first meeting of the EU4Energy task force was organised to scale up energy efficiency investments, with a main focus on renewables, electricity, industrial enterprises and SMEs. From now on, the new task force will support Belarus in establishing a sound regulatory environment for scaling up energy efficiency investments. Task force members include representatives from the Ministries of Energy and Economy, the State Committee for Standardisation, national energy companies and international organisations. By the end of 2017, the task force will identify key legislative and regulatory barriers and propose remedies at a high-level policy roundtable at the end of the year. ECS officials interviewed representatives from government, industry and other stakeholders in order to identify potential risks discouraging investment in the Belarusian energy sector. The findings will be elaborated in the report, which will be presented at the 28th Energy Charter Conference in Ashgabat, Turkmenistan. 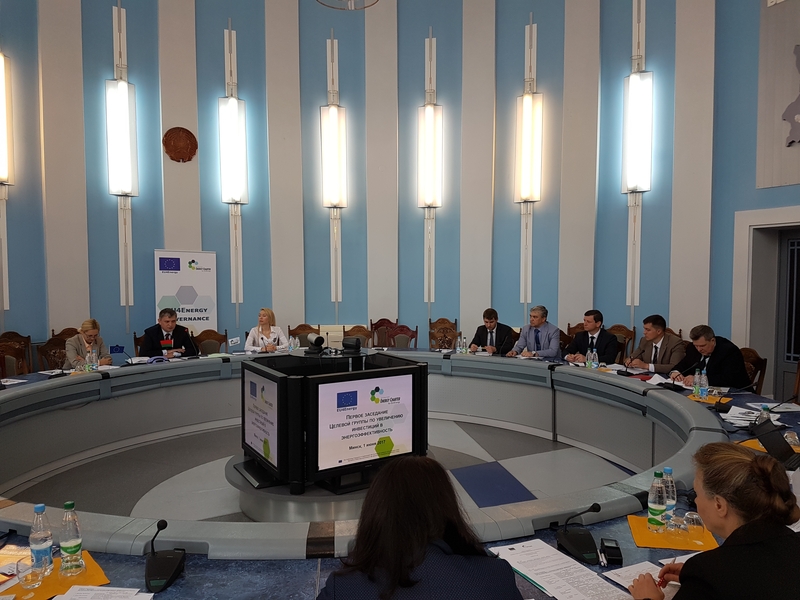 These projects in Belarus are part of the EU4Energy Programme, an EU-financed initiative that supports evidence-based energy policy making and energy efficiency in the region of the Eastern Partnership and Central Asia. Within the EU4Energy Programme, the ECS provides technical assistance to Armenia, Azerbaijan and Belarus to strengthen the legal framework and stimulate investment in the countries’ energy sectors.